Product Information : A vigorous ground cover for moist, shady areas. 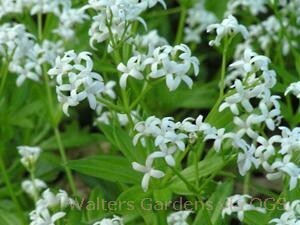 Tiny, white, star-shaped flowers appear above a carpet of finely cut, green leaves. Use to edge pathways, hide dying bulb foliage, or as an underplanting.